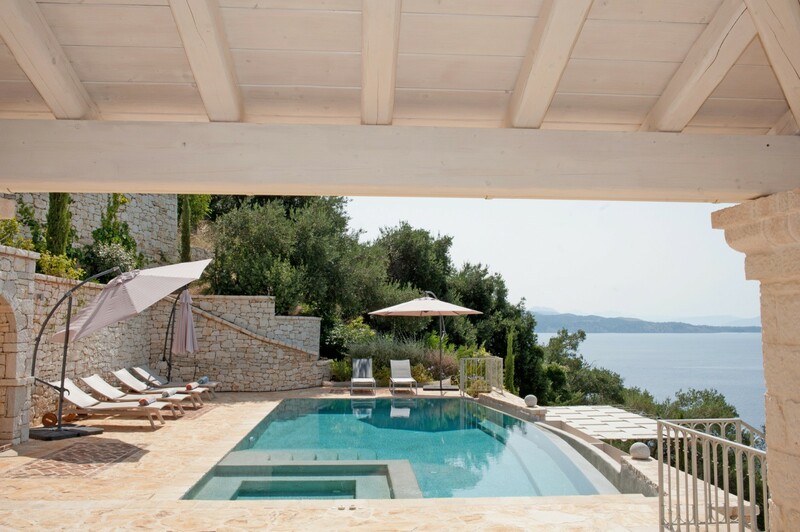 Villa Grillon Corfu. 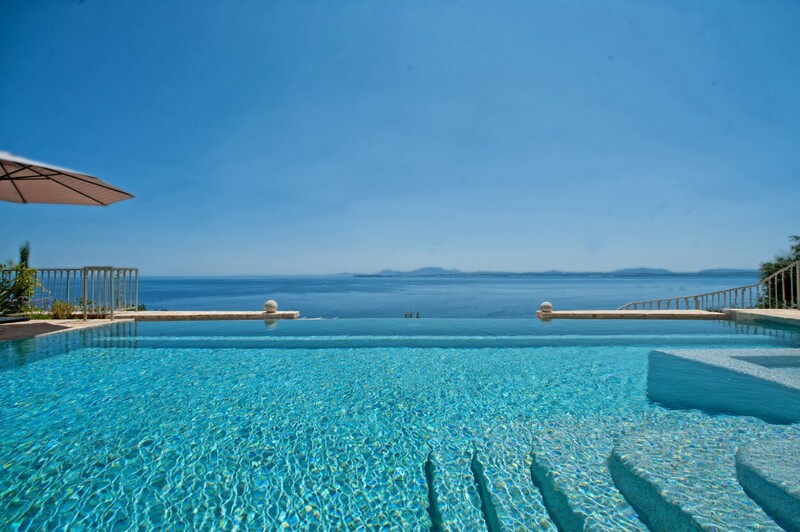 Does the image of a holiday on the Greek island of Corfu appeal to you? Perhaps you would like a quiet, estate-like setting that is a short drive to the busier tourism spots? 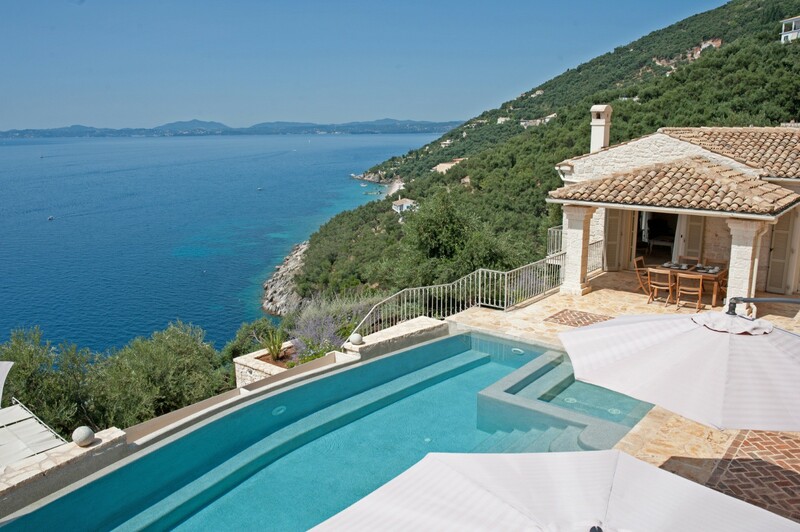 If so, the stunning Villa Grillon is for you. 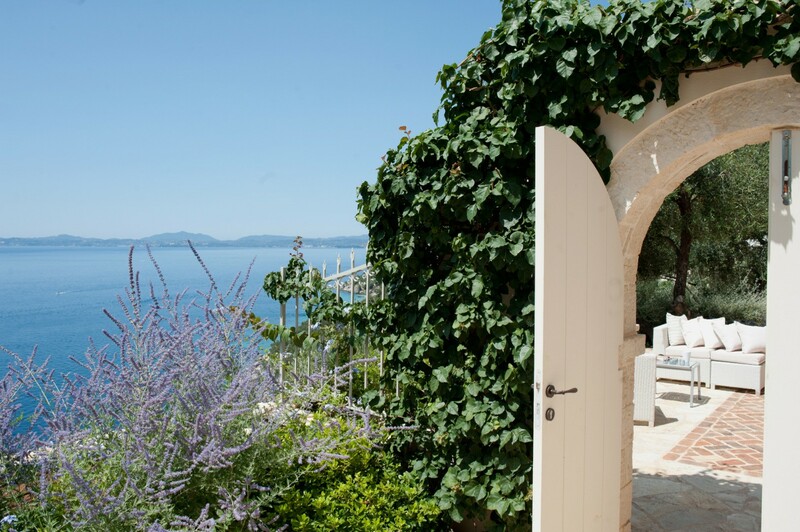 A three-bedroom, classically designed stone villa, it sits in an ancient olive grove and gazes out to sea as well as the beaches below. 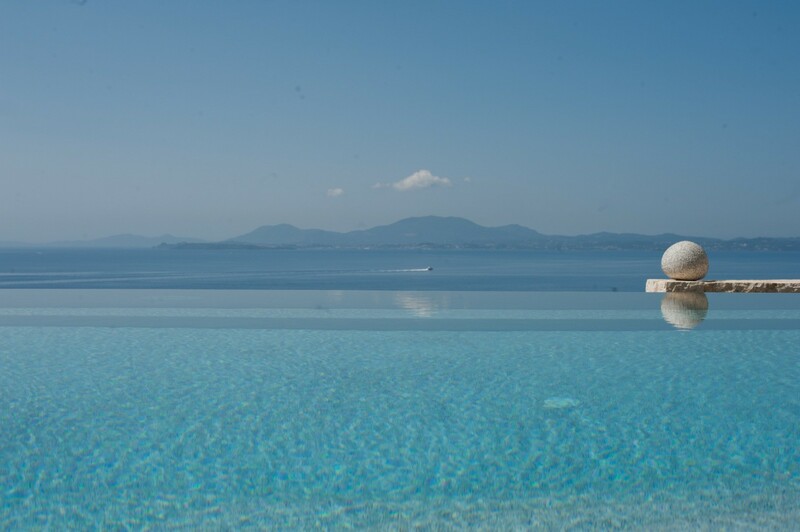 Only 40 minutes to drive to popular Corfu Town, it is just far enough to provide privacy, tranquility and stunning scenery. For many visitors, the pool terrace quickly becomes a treasured destination. Framed in local stone, and backed by gorgeous stone walls and gardens, it gazes out towards the views and includes several sun beds and decks, a plunge pool as well as the larger, infinity-edge pool, and a remarkable dining pavilion. 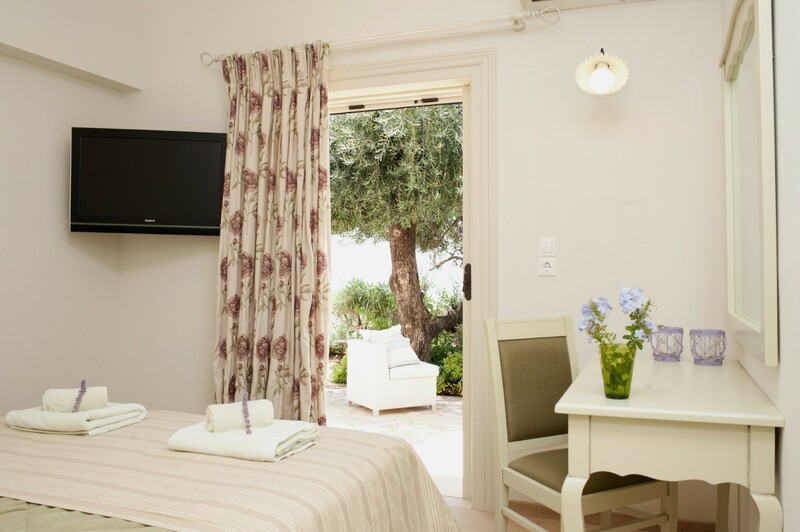 Furnished with a full kitchen, it is a well shaded and comfortable place at all hours. 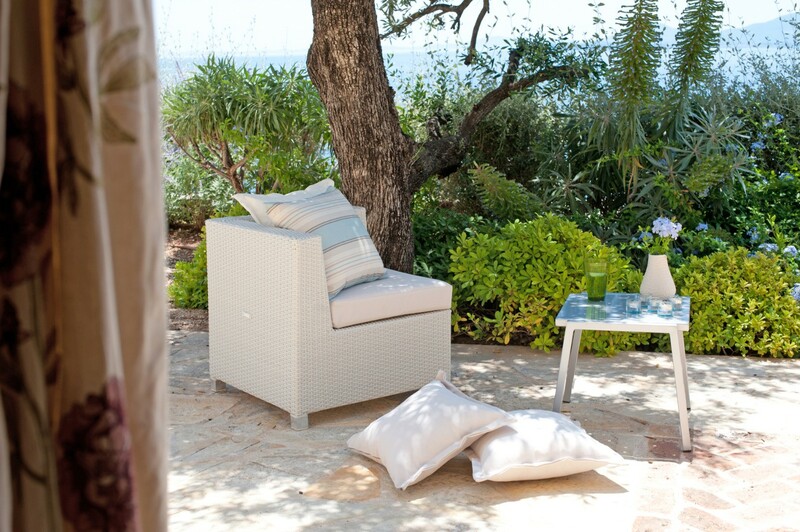 There are many other outdoor niches and spaces to savor, many tucked into little gardens and beneath the shade of the olive trees. 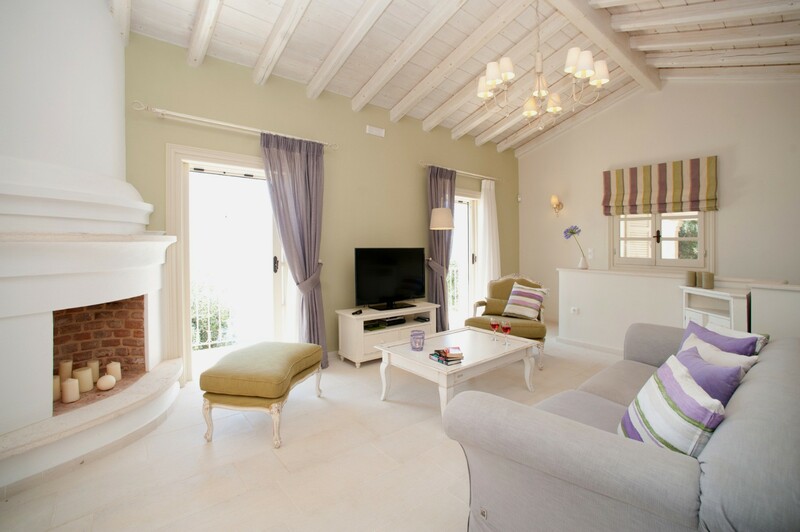 From the main level, you enter the villa itself and this features a primarily white palette that includes white terrazzo tiled floors, high white-washed wooden ceilings and even a white stucco fireplace in the living room. 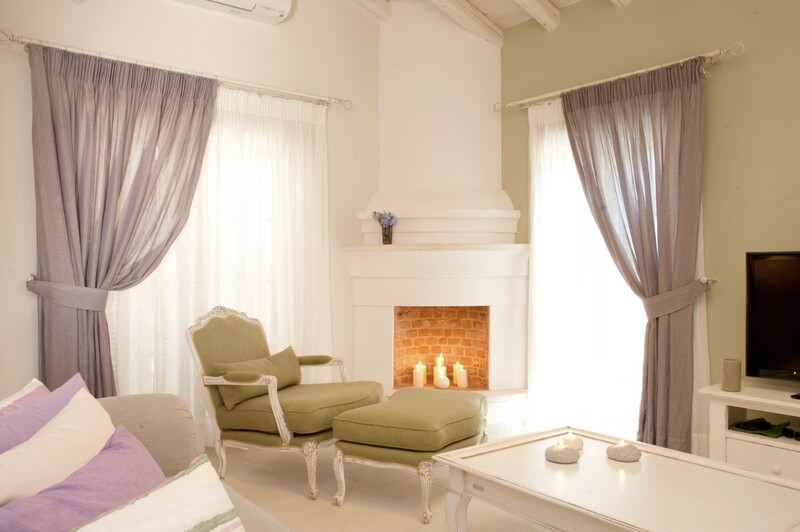 The living room is a dreamy, low-key area with entertainment system, oversized furnishings and lovely views. 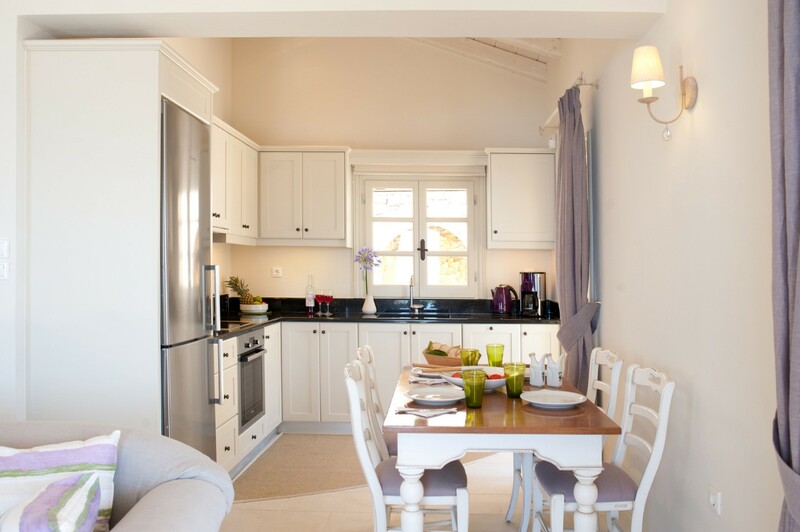 It is steps from the charming dining area and the fully-equipped kitchen. 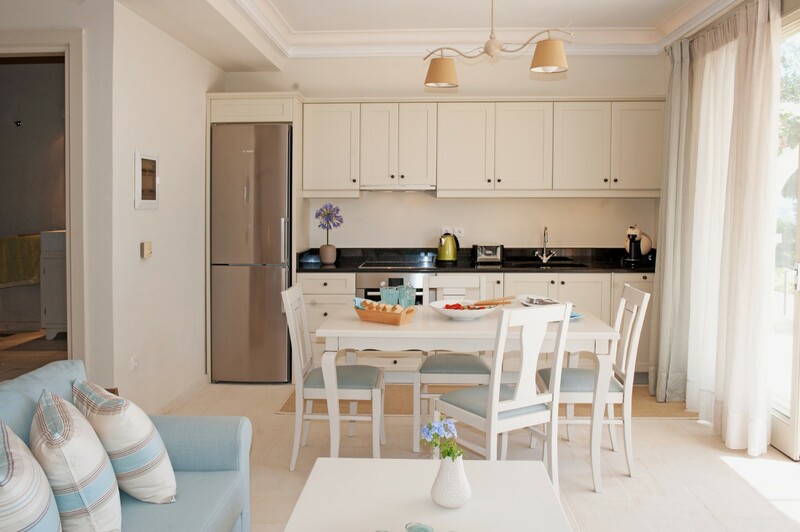 With premium appliances and direct access to the terrace, you will certainly find yourself enjoying morning coffee to evening drinks here. 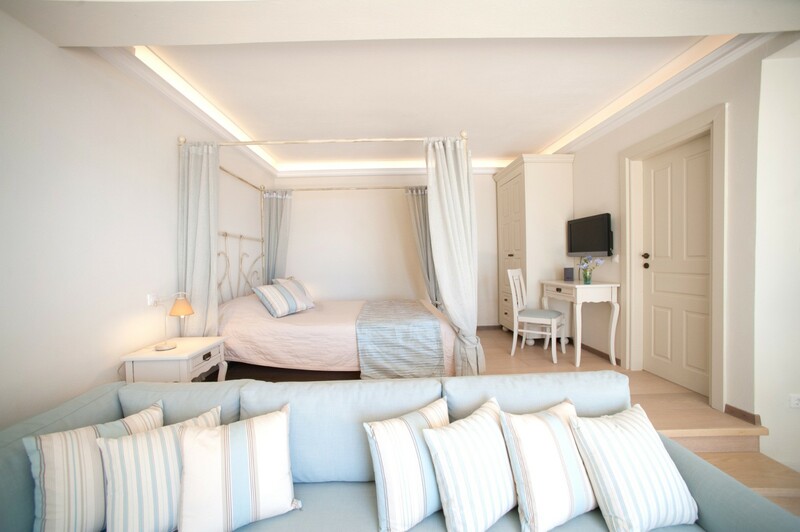 The three bedrooms are optimally private suites with direct terrace access and spacious interiors. Each uses that same creamy palette, offers an ensuite bath and features a generously sized double bed. 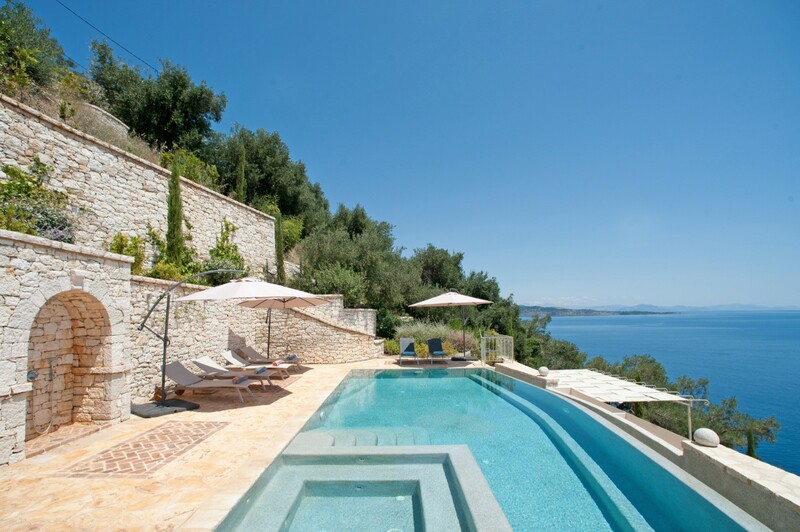 Perfect for a group of very discerning travelers, the Villa Grillon will provide an unforgettably beautiful and relaxing holiday. Bedroom 1: Bedroom with a double-size bed and en-suite bathroom. 2 guests maximum. Bedroom 2: Bedroom with a double-size bed and en-suite shower room. 2 guests maximum. Bedroom 3: Independent suite bedroom with a double-size bed and en-suite bathroom. 2 guests maximum.